I must admit something. Ever since I received this oversized kimono coat, I’ve been wearing it on repeat. 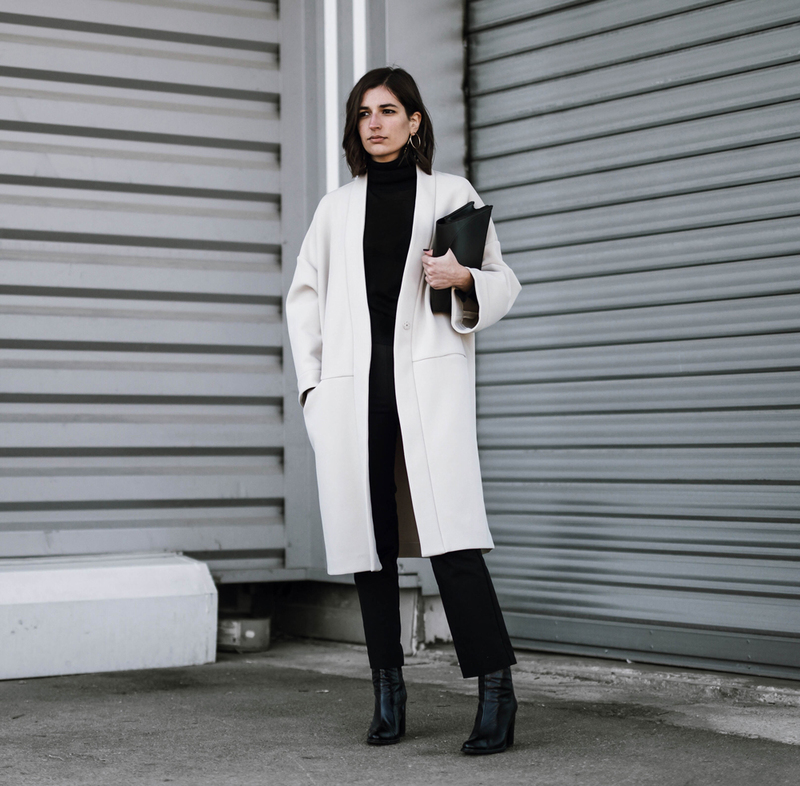 I was on mission to find the perfect minimal coat since winter started, and I may have found it. While I love the cosy atmosphere of winter, it can be a rough time in terms of sartorial decisions. 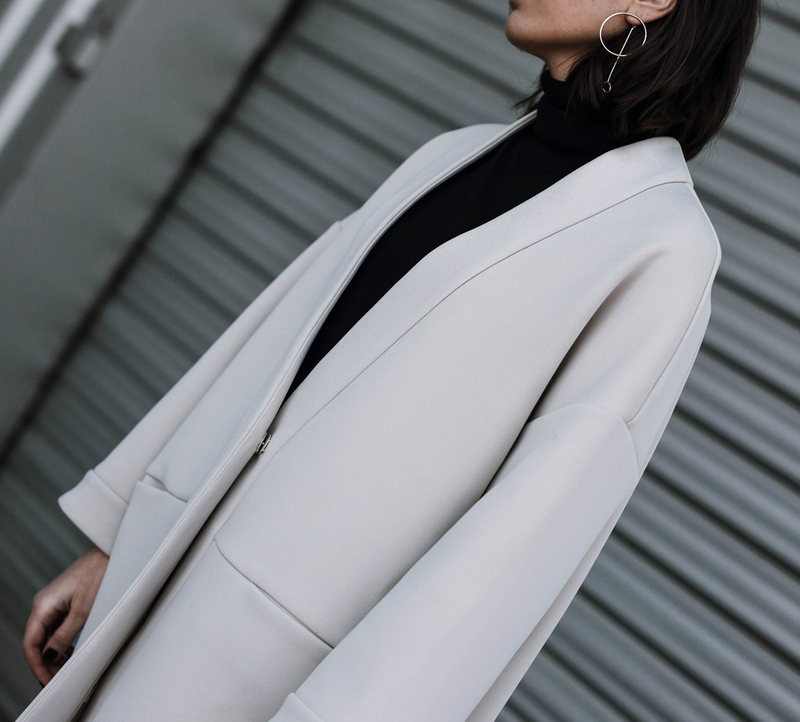 This coat, despite being minimal, will be a great timeless piece added to my wardrobe. 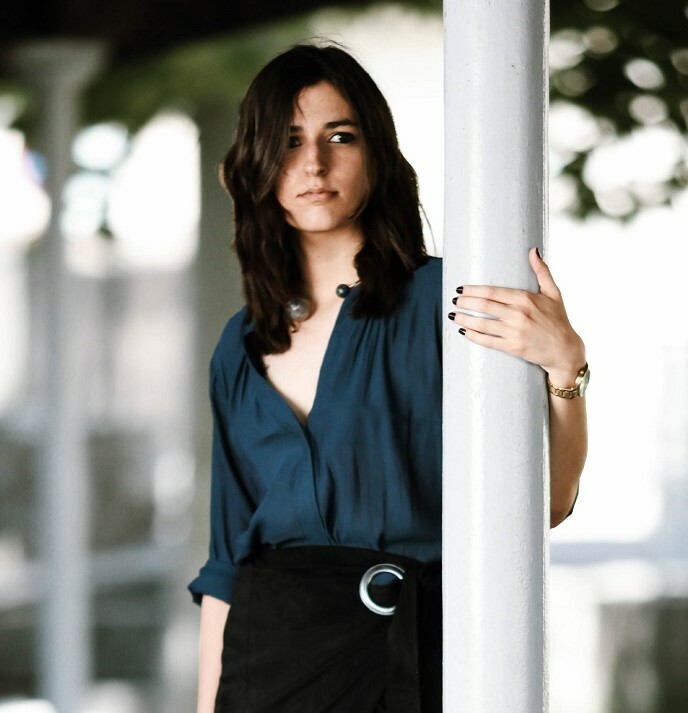 For the styling part, I wanted to go for a minimal outfit yet chic. I picked a few black classic clothes, keeping in mind that a mix of textures is still the best way to elevate any monochrome outfit. It also contrasts really well with this beige kimono coat. Paired with a pair of shiny boots with a sprinkle of golden accessories and I was good to go! What’s your take on kimono inspired coat? I always look forward to your posts. 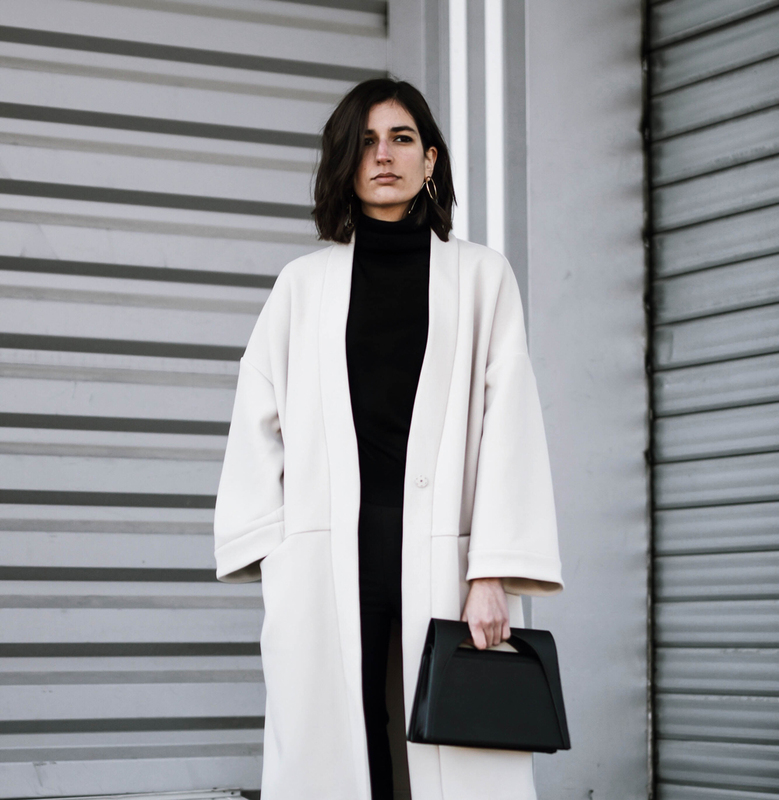 Love how you have gone for an all-black look and made this coat the statement piece. It really stands out and I love the cut. This look is so simple and chic, love the boots! And did you get a haircut?! Such a chic, minimal piece.. I can see why you haven’t stopped wearing it! Loving those earrings too! Oh this is beautiful! 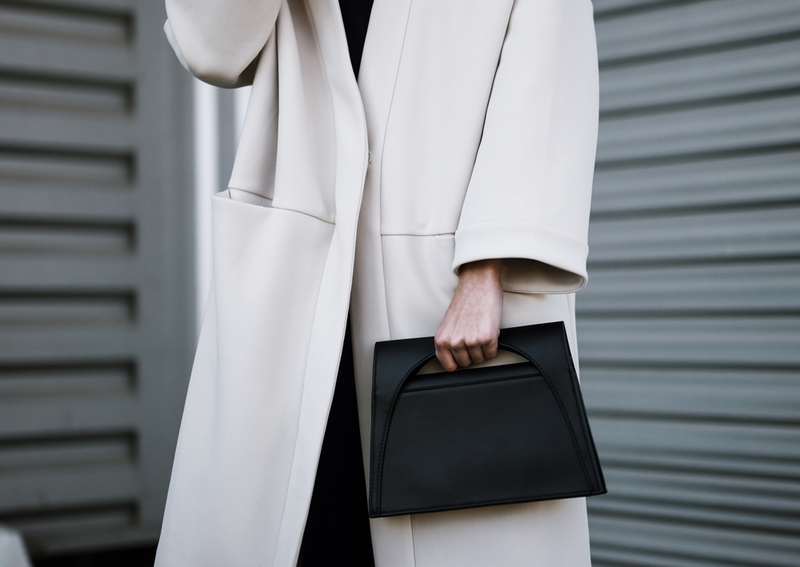 Love the simple and clean lines of the coat! Definitely a timeless classic piece! I absolutely adore that coat, so so beautiful!! You’re right. That coat is timeless to the T. Beautiful color and I love the pockets! Such a nice and classy coat! I love everything about this look! My feelings about this outfit can be summed up with just one word – L O V E.
Love the whole look! Beautiful coat! What a classic kimono coat! Love the white on black, so chic, Aria! This shape is just so chic and clean. I would be wearing it all the time too! Such a gorgeous coat! Love your blog – definitely a new follower! I love the neutral tones of this outfit. So chic!! I’m a little bit in love with your minimalistic look! The coat is amazing!